SNV Netherlands Development Organisation was founded in the Netherlands almost 50 years ago. Since then it has built a long-term, local presence in 38 of the poorest countries in Asia, Africa and Latin America. The organisation’s global team of advisors work with local partners to equip communities, businesses and organisations with the tools, knowledge and connections they need to increase their incomes and to gain access to basic services – empowering them to break the cycle of poverty and guide their own development. TABJ had the opportunity to interview Harm Duiker, SNV’s Country Director in Kenya. We asked him about Kenya’s vision 2030 – Kenya’s long-term development initiative to industrialize the country and to make it a globally competitive country that offers its people a high quality of life by 2030. We also discussed SNV’s work in domestic biogas, the renewable energy sector in Kenya and what SNV is doing to empower rural areas. TABJ: How has SNV established itself as a major player in the renewable energy sector in Kenya and in Africa? DUIKER: In Kenya SNV is a major player in the domestic biogas sector. The market-based approach that SNV has developed in the dissemination of biogas has greatly influenced the sector and it has catalyzed the innovations in the sector including the development of plastic digesters by the private sector in response to the growth. Furthermore we played a major role in supporting domestic biogas standards, this development has also been realised in other countries where SNV has begun biogas programmes. 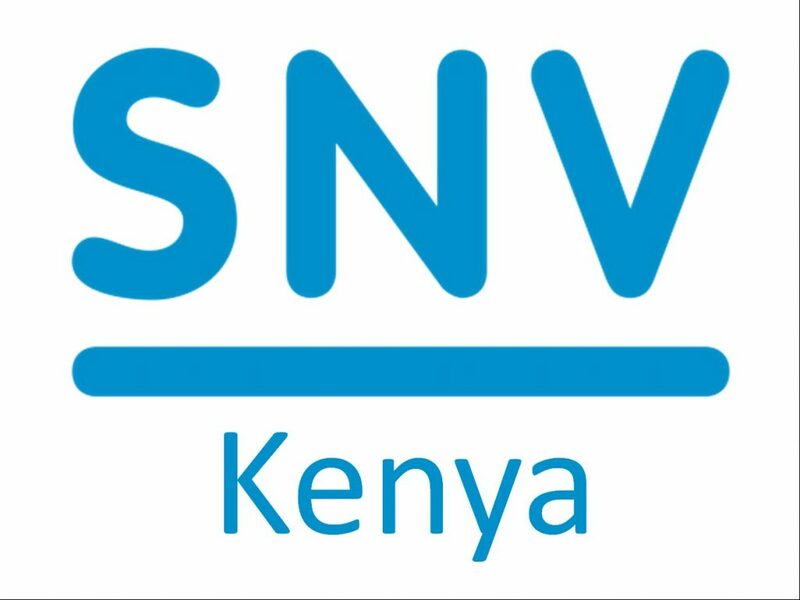 TABJ: What are SNV’s goals and its alignment to Kenya’s vision 2030? HD: SNV is dedicated to a society where all people enjoy the freedom to pursue their own sustainable development. We contribute to this by strengthening the capacity of local organisations. This mission is aligned to the Kenya’s Vision 2030 economic and social pillar, in the endeavour to contribute to sustained economic growth and an equitable society. TABJ: What has the impact of your company been in Africa? DUIKER: SNV works in 17 countries in Africa. In the biogas subsector, there are programmes in 9 countries which cumulatively have constructed 34265 digesters by end of July 2013. Globally SNV-supported domestic biogas programmes improve life for 2.9 million people with the construction of over 500,000 biogas installations. TABJ: Who are your partners that are involved with SNV to establish the success of renewable energy initiatives? DUIKER: In Kenya Partners include; Government of Kenya Ministry of Energy, Agriculture, Hivos, Kenya National Federation of Agricultural Producers (KENFAP), GiZ, Kenya Renewable Energy Association. Other partners include local Savings and Credit Institutions (SACCOs), many solar and biogas entrepreneurs, and local NGOs who have included solar and biogas in their rural development programmes. We are funded by the Dutch Government. TABJ: Can you please highlight SNV’s work in domestic biogas? HD: SNV’s support for national programmes on domestic biogas spans three continents, Asia, Africa and Latin America. We started supporting biogas activities in Nepal in 1989 and in Vietnam in 2003. Since 2006, domestic biogas programmes have also been established in Bangladesh and Cambodia, while a pilot programme in Lao PDR took off in 2007. Pakistan and Indonesia launched biogas programmes in 2009 and Bhutan in 2011. By the end of 2012, 500,000 households or 2.9 million people have been equipped with biogas plants. SNV’s biogas activities have been expanded to include Africa. Rwanda was the first country of engagement, with another five countries – Burkina Faso, Ethiopia, Tanzania, Uganda and Kenya – targeted in the framework of the ‘Africa Biogas Partnership Programme’. This Programme took off at the end of 2008, in cooperation with Hivos, and aims to reach 70,000 households. In Kenya the programme aimed at constructing 8000 digesters, to date 9300 have been constructed reaching more than 47,000 people. TABJ: How does SNV facilitate a commercially sustainable market system for locally produced biogas? HD: SNV applies a multi-stakeholder sector development combined with a market-based solutions approach. We apply value chain development, inclusive business and impact investment advisory services in order to bring together many actors in the private sector and public. An example, we provide biogas technical skills to private contractors who will then be building digesters on a commercial basis for farmers. We also work with financial service institutions, like banks, to develop biogas credit products for farmers and entrepreneurs. TABJ: Can you discuss the benefits of the biogas initiatives or projects you’re working on in terms of improving Socio-Economic Development in rural communities? DUIKER: Domestic biogas installations for agricultural households reduce the dependency on biomass by substituting firewood and charcoal by biogas. The residue, bio-slurry, is a potent organic fertilizer that increases agricultural yields and the clean combustion of biogas virtually eliminates indoor air pollution related diseases. Workload reduction, benefitting primarily women, may also lead to an increase in productivity and income for rural households. TABJ: What are some of the opportunities SNV has created and how can they empower the rural areas? DUIKER: There are opportunities in employment in construction of digesters. The bio slurry improves agricultural productivity and can be used for other uses such as mushroom and fish farming. TABJ: What are some of the major milestones you’ve achieved within Kenya or East Africa? DUIKER: We’ve constructed 9300 digesters which reach more than 47000 people and supply them with clean energy for cooking. In addition, more than 50 companies and more than 200 masons are deriving their livelihoods through employment. TABJ: Why is renewable energy needed in Africa and how can it be harnessed for the betterment of everyday life on the continent? DUIKER: Majority of Africans use biomass for cooking and are off grid, the World Bank estimates that poor African rural households and small businesses that are off grid spend 10 billion dollars on lighting annually. There are many opportunities given the positioning of the continent. Furthermore the RE technologies have undergone rapid developments and have been adapted to the needs of the African rural population. What remains is how to develop distribution models that reach the people who need them – distribution models that are responsive to the lives in terms of affordability, cash flow, energy needs, culture and lifestyle etc. TABJ: Can you give us a brief on the Africa Biogas Partnership program and in what capacity is SNV involved? DUIKER: The Africa Biogas Partnership Programme (ABPP) comprises a partnership between Hivos and SNV in supporting national programmes on domestic biogas in six African countries. The Programme aims at constructing 70,000 biogas plants in Ethiopia, Kenya, Tanzania, Uganda, Senegal and Burkina Faso providing about half a million people access to a sustainable source of energy by the year 2013. The overall objective of the ABPP is to contribute to the achievement of the Millennium Development Goals through the dissemination of domestic biogas plants as a local, sustainable energy source through the development of a commercially viable, market-oriented biogas sector. The programme is financially supported by the Directorate General for International Cooperation (DGIS) of the Netherlands Ministry of Foreign Affairs and SNV. The financial contribution of DGIS amounts to €30 million, covering approximately one third of the total programme costs. These funds are channelled through Hivos, which carries out the role of fund and programme manager, operating from an office in Nairobi. SNV provide capacity building services in the six countries and takes responsibility for knowledge management…use is also made of knowledge generated by SNV through the setting-up of large-scale domestic biogas programmes in Asia. TABJ: What are some of the projects you’re currently working on? HD: Apart from the biogas project we have projects in solar energy and support the development of solar PV distribution in the rural areas and an improved cook stoves project. Apart from projects in renewable energy, we have other work in agriculture and in water and sanitation. For example in agriculture, we have the Kenya market led dairy project and we’re working to improve the resilience in livestock systems through innovative market systems. TABJ: What are some of SNV’s expansion plans? DUIKER: Plans are underway to develop a phase II of the biogas programme, starting 2015. Another project 4S@scale aims at constructing 16,000 thousand digesters for coffee farmers in Kenya and 3000 each in Uganda and Tanzania, which will also ensure a proper utilisation of bio slurry leading to holistic development of the farm enterprise.